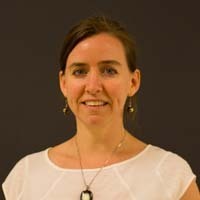 We are delighted to announce that after a national search, beginning October 5th, 2015, Kristin Wright joined the DukeEngage staff as an Assistant Director for Programs. Kristin is well-known to many of you in her role as the Assistant Director of Duke Service-Learning. We are so excited that she will bring this extensive experience in civic engagement and service-learning, higher education administration, and collaboration with faculty, staff, students, and community partners to our work at DukeEngage. In her new role, Kristin will work closely with DukeEngage faculty-led programs, student outreach and advising, connecting DukeEngage programs with the curriculum, and developing our training and professional development for students in U.S.-based programs. Kristin is also a former teacher, avid gardener and local foodie, and a committed Durham resident and volunteer.